On a daily basis, author and LGBTQ advocate Amber Cantorna receives emails asking the same question: How does one reconcile their sexuality with their faith? Depression, despair, and thoughts of suicide often haunt LGBTQ Christians as they feel unable to imagine the possibility of living a happy, fulfilling life as an LGBTQ person of faith. As the gay daughter of a thirty-plus-year executive of conservative Christian organization Focus on the Family, Amber lost everything when she came out as gay in 2012. However, her journey to embrace her authenticity brought her fulfillment and wisdom to share. 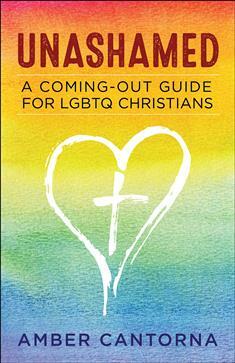 Unashamed serves as a guide for Christians considering coming out, tackling tough subject matters such as demolishing internalized homophobia, finding an affirming faith community, reestablishing your worth as a child of God, navigating difficult family conversations (especially in cases where family is involved in church leadership/ministry), and healing from the pain of rejection. Unashamed encourages LGBTQ Christians to embrace their unique identities and to celebrate the diversity placed inside them by God.